Why you ask? I've gotten to that point in my collection where I either have it or I don't like it. How sad. But happy because that means I am saving money and keeping my house just a little less cluttered. So I like dinnerware but I would only buy in a lot. I'm not huge on trying to complete the pyrex dinner ware. 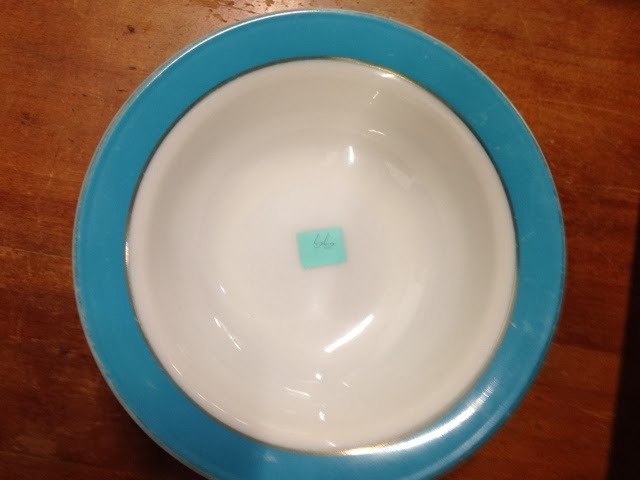 So this bowl stayed at the store. I have one chop plate and I use it for cookies. I don't need random bowls laying around. Not a bad price. But very scratched up. Lots of paint scratches. Not flea bites but big scratches. This guy was loved. He stayed too. 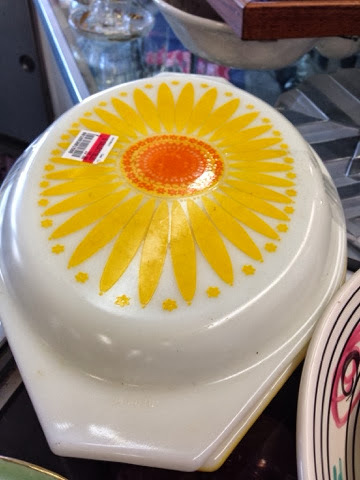 Oh hello there daisy divided dish. I'm sorry but I have one of you already. Why couldn't have been a dandelion duet or that cool orange flowery one. We'll someone else got you since I passed. I hope they give you a good home. Hi green. I'm not green with envy. Somehow I managed to get 2 of you already. Why oh why could you be a red 402! I NEED those berries bowls and those big bowls. Ugg but they would not separate them for me. I must say for a full service in one place not too bad of a price for a "fancy" type thrift store. Maybe another day. I have not got anything in the last week and a half. Not since the snowflake space saver. I am going out tomorrow and hopefully I will come home with something. If not then I will just go eat a full thing of Oreos and not regret it one second. I already have them in the cubbard. I am prepared for disappointment. Yep. I'm there too with my collection. Just need a couple of pieces to complete some sets. Occasionally I run across a promotional to add to the collection. 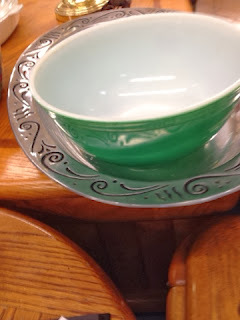 I had a lot of fun putting together my dinnerware set. I went with the turquoise autumn band. Use them everyday and love them because they can take a beating. No more chipped ceramic dishes for me. I was writing from work today earlier at like 10am or something, but my net access ain't the best and didn't connect. 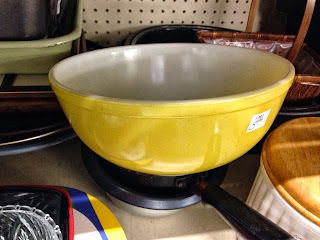 I was saying how Pyrex hunting has blown around here lately, dealers galore, but then on a 50% off day I score.a.441 and a 443 for $4. Wonder why they were still there?